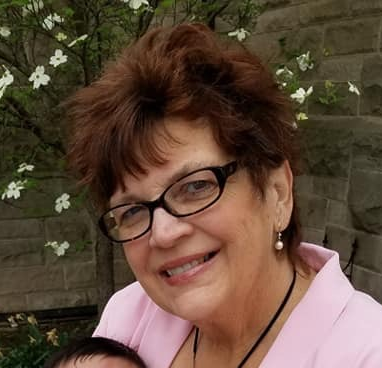 Deborah A. Kleiboeker, 63 formerly of Hoyleton, passed away at 12:40 p.m. on Thursday, October 11, 2018 at St. John’s Mercy Medical Center in St. Louis. She was born on August 22, 1955 in Sellersville, PA, the daughter of Richard and Jean Collins Grasse. She married Larvin H. Kleiboeker on January 17, 1976 in Hoyleton and he passed away on March 14, 2016. Also preceding her in death were her parents. Left to mourn her passing is her daughter: Heidi Villasenor and husband Frank of St. Louis, MO, a granddaughter; Peyton Villasenor, her sister; Kristie Lowry and husband Daryl of Quakertown, PA and sister in law; Arletta Bundy and husband Larry of Centralia. Debbie was a certified fund raising executive with the Hoyleton Children’s Home in Hoyleton and Eden Seminary in St. Louis. She also worked at Kaskaskia College in Centralia. She was a member of the Zion United Church of Christ in Hoyleton where she served on the church council, church secretary and choir director. She was very active in the UCC Illinois South Conference. She was a former member of the Hoyleton Grade School board and Hoyleton Lions club. She enjoyed music and the arts and was active in the Centralia Cultural Society and was a philanthropist helping to raise funds for numerous charities. Funeral services will be held at 11:00 a.m. on Tuesday, October 16, 2018 at the Zion United Church of Christ in Hoyleton with Rev. William Causer officiating. Friends may call from 5:00 to 7:00 p.m. on Monday and one hour prior to services on Tuesday both at the church. Memorial contributions may be made to the Zion UCC or the American Diabetes Associaiton. Styninger Funeral & Cremation Chapel in Hoyleton is in charge of arrangements.